As a keen advocate for your venue, you might wonder about your profile's marketing exposure from time to time. 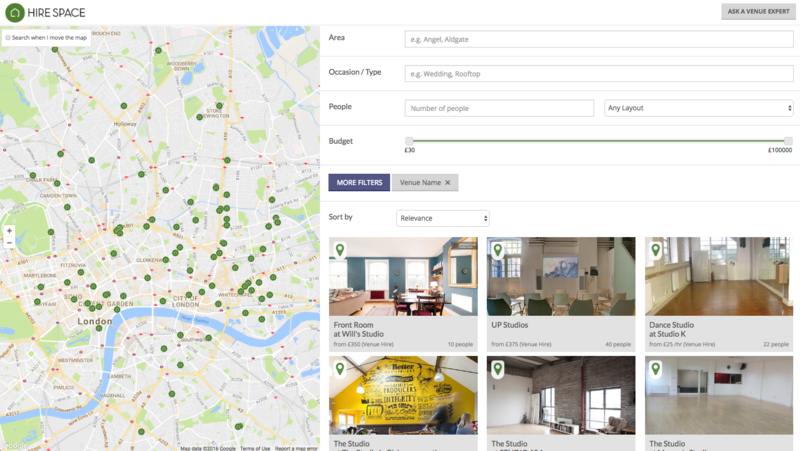 Our Community Support team have compiled some top tips to help you optimise your venue profiles for customers. Big Q: Is My Venue Profile Published? Head to hirespace.com, where customers carry out their venue searches. Click the green Search button on our homepage and then click More Filters. Run a search using the Venue Name filter and click Show Results. If your venue comes up, you can rest assured that it's currently live for customer searches. If not, email us at venues@hirespace.com and we'll get you up to speed in no time. 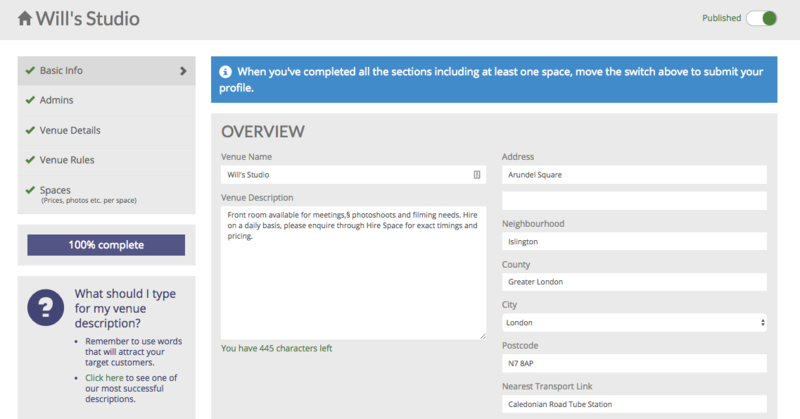 Include many keywords in your venue and space descriptions, in complete sentences. 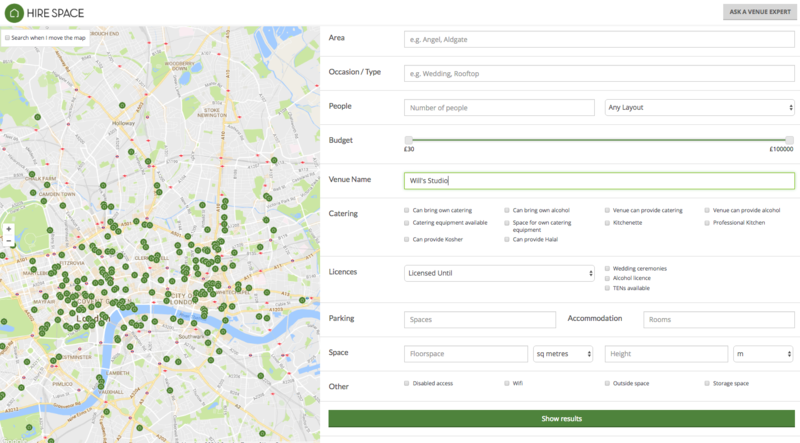 Our search function not only looks at descriptions and response time, but also hundreds of other metrics from historical enquiries to venue capacity. An Advanced Profile Consultation service which looks at optimising page ranking on Hire Space is accessible to Hire Space Prime venues. If you have questions about this upgrade, just email us at venues@hirespace.com and we'll give you the down low. No strings attached.